Make sure to see all of our Felt Ornament Kits! 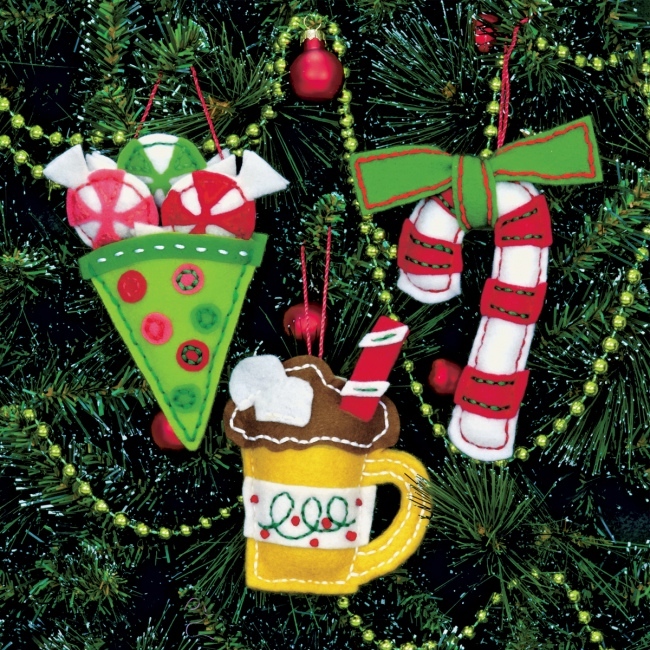 The Sweet Treat Ornaments Kit is a felt Christmas ornament kit from Dimensions. Kit includes die-cut felt pieces, presorted thread, cording, stuffing, needle, and instructions. Everything you need to make 3 felt applique ornaments! Finished size of ornaments is up to 6" tall not including hangers. Felt pieces are pre-punched with holes for easy assembly. A fun felt Christmas craft project for beginners & all skill levels! Your handmade felt ornaments will be perfect for trimming the tree or as a special addition to holiday gift packages.